Access Chiropractic and Wellness knows how important your privacy is to you and we are committed to collecting, using, and disclosing personal information responsibly and only to the extent necessary for the services we provide. We comply with the Personal Information Protection and Electronic Documents Act (PIPEDA) which requires us to provide this policy to you on request. How do we use your information you have opted in for? Except where prohibited by law, voluntarily posting photographs, videos, comments, or other material on social media channels (Twitter, Facebook, Instagram, Pinterest, etc.) bearing anything to do with Access Chiropractic or any promoted hashtags allows Access Chiropractic and Wellness the non-exclusive right to display posted content online. You also understand that any of this media may be edited in the sole discretion of Access Chiropractic and Wellness. You agree not to take any legal action against, and release and discharge, Access Chiropractic and Wellness, and its directors, officers, employees, agents, and affiliates, or any other person or entity acting on its behalf from all claims in connection with the use of the posted content as contemplated herein. Access Chiropractic and Wellness pages are not sponsored by any entity or company. If at any time you would like to unsubscribe from receiving future emails, you can email us at help@accesschiropractic.net or select UNSUBSCRIBE from the bottom of the email. We will promptly remove you from ALL correspondence. 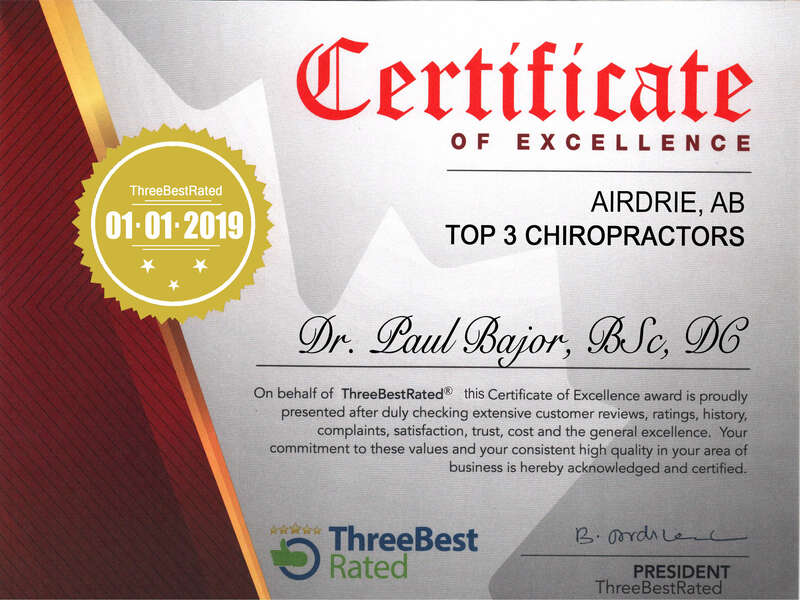 The best chiropractor in Airdrie! Access Chiropractic has been providing chiropractic care to Airdrie, Alberta since 2004. Enduring double knee injury and emergency surgery to cold laser and return to work in four weeks.